Now, that can play a spoilsport in the smooth goings on in a person’s life. It is therefore best to prevent one from being bitten by mosquitoes so that one does not have to face any irregularities in one’s life. Here are a few ways to save your selves from mosquitoes. People often refer to insect repellents bought from the store to prevent being attacked by mosquitoes. Although that does the trick, it is advisable to remember that these synthetically made insect repellents contain a toxic chemical called DEET, N,N-Diethyl-meta-toluamide. Study has proved that heavy exposure to DEET can lead to memory loss, headache, weakness, fatigue and even muscle and joint pain. Tremors and shortness of breath are also common and is particularly toxic to children. It is therefore not advisable to use such insect repellents that cause such a risk to one’s health in general. 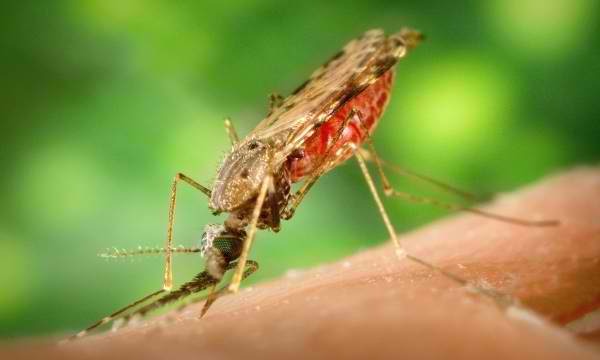 It is best to resort to natural remedies and ways to prevent mosquito bites. Here is a list of some natural ways that can be used to prevent mosquito bites. 1. Homemade citronella candles – citronella oil is essentially one of the best mosquito repellents in the world. The best way to use this oil for repelling mosquitoes is to resort to citronella candles. These candles are totally natural and extremely easy to make. Lighting up these candles releases an aroma that keeps mosquitoes away. 2. Drops of lavender – Lavender has the exact opposite effect on the mosquitoes than in humans. Mosquitoes hate it. It is advisable to add a drop of lavender to ribbons and tie them around the windows. This will prevent mosquitoes from entering the room as the aroma of lavender repels them away. 3. Lavender body oil – around 30 drops of lavender oil when mixed with normal vegetable oil acts as a mosquito repellent ointment. Applying that mixture to the body makes you smell adorable and prevents mosquitoes from landing on you. 4. Mosquito repellent spray: Bug Off – There is a fantastic mosquito repellent spray devised by Stevie and the recipe for this natural spray can be found on GardenTherapy.ca and this spray contains essential oils like citronella, eucalyptus and lemon grass. It is advisable to wear this spray before heading anywhere outside to prevent mosquito bites. 5. Bug repellent sunscreen – This particular sunscreen serves a dual purpose. It protects one from the harmful effects of the UV rays and also repels variety of bugs including the mosquitoes. This is advisable to put it up when heading outside in the sun. 6. Barbecue with rosemary – it is a common sight to see mosquitoes accumulating in hordes while barbecuing. But if one throws in a few rosemary herbs in to the Barbecue, the entire thing acts as one large mosquito repellent at the same time providing delicious flavors to the food. 7. Mosquito repellent plants – There are a wide variety of plans that have mosquito repellent properties. Some of these plants are citronella; fever few, cat nip and lavender. These are the best at what they do. It is advisable to plant them in flower beds or in containers placed around your garden to keep mosquitoes away. 8. Eating garlic helps – Eating a lot of garlic gently releases garlic oil from the pores of your skin. This is enough to repel mosquitoes away from you and you are thus saved from any mosquito bites. 9. Neem oil – The Neem tree is native to the Indian Sub-continent and the oil extracted from the leaf of this tree acts as a good mosquito repellent. Applying this neem tree oil works as a good mosquito repellent ointment. 10. Mosquito repellent drink – Apple cider vinegar is a good mosquito repellent. Add one or two tablespoons to 16oz of water. Sweeten with one tablespoon of honey and drink it. It works.